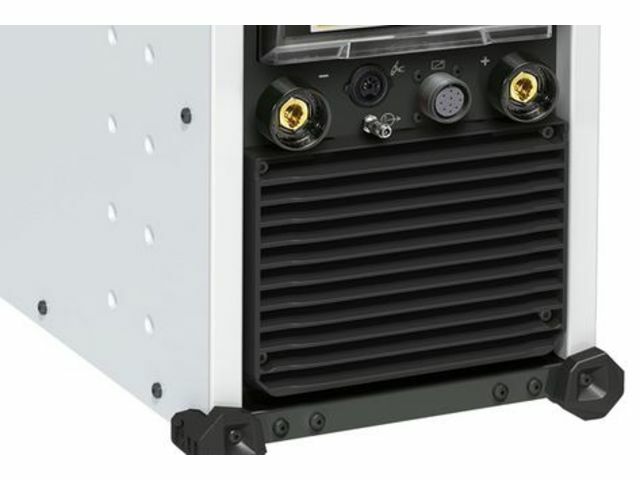 The perfect solution for accurate welding of high alloy metals, the TITAN 400 power source with its high duty cycle (400 A @ 60 %) is designed for the most demanding TIG and MMA welding applications. 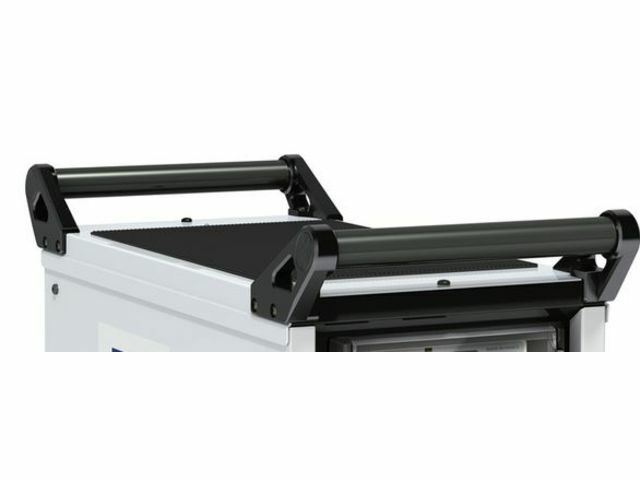 Its User friendly interface enables easy setup with large and simple controls. 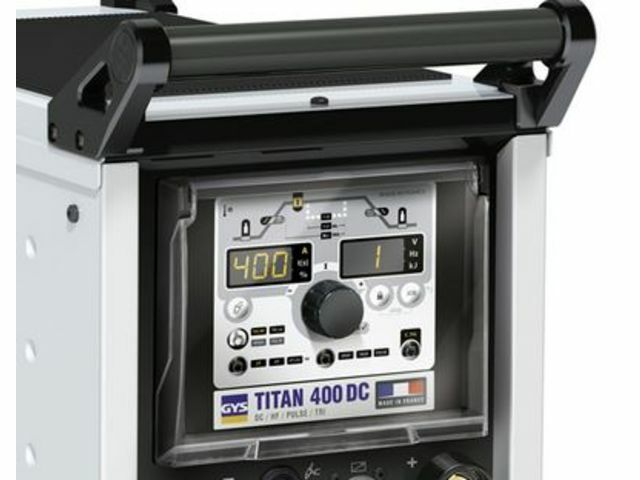 Equipped with TACK mode and spot function, the TITAN 400 is the preferred tool of the professional welder on pipework, tubular construction and stainless steel plate fabrications. 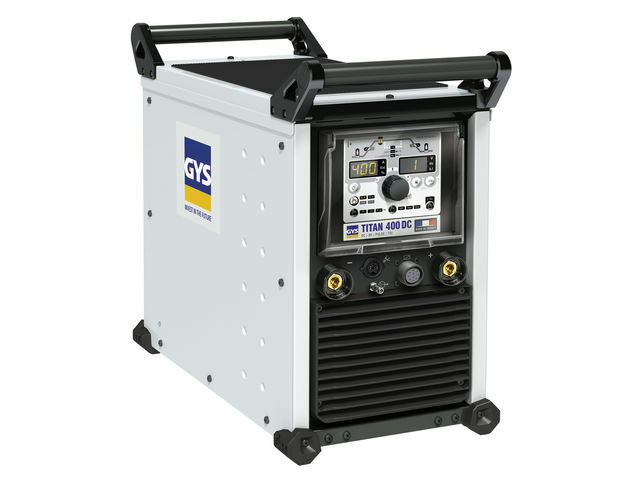 TIG DC : welding in continuous current. TIG DC Pulse : reduces heat distortion of the workpiece. 3 special welding processes: - SPOT mode: traditional spot welding before welding thin sheet metals. - TACK mode: very precise spot welding function free of oxidation reducing the risk of heat input causing deformation. The welding spots in TACK mode are invisible in the weld bead. - E-TIG mode: ensures a unified weld bead width and consistant penetration regardless the position of the torch in relation to the work piece (control of the welding energy). 2 types of Arc start-up: HF (without contact) or LIFT (with contact) for electro-sensitive environments. 3 trigger modes: 2T, 4T and 4T LOG. Automatic detection of the torch: compatible with trigger, double button and potentiometer torches. Displays current/voltage during and after welding (WPS/PQR). JOB Save 50 programs for each process, for a perfect reproducibility of your welds. Remote control (optional pedal or manual). Lockable keyboard to protect against misuse. Intelligent cooling fan management system to minimise the power consumption (stationary, off arc = 35 W), reduce dust absorption and noise. «Connect 5» mode to trigger the machine from a automated controller or interface (5 pre-saved program). Calibration mode allows for the adjustment of the voltage and improves the calculation of the energy. ENERGY mode, display and calculation of energy after welding according to the standards EN1011-1, ISO/TR 18491 and QW-409.